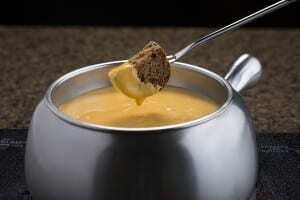 Celebrate National Fondue Day with The Melting Pot! Please note that apparently the Melting Pot Boston location has closed very recently so keep that in mind if you were hoping to take advantage of this offer there. If you are a fan of fondue and The Melting Pot, you may want to celebrate the upcoming National Fondue Day in April! Please note that you can only celebrate National Fondue Day with free fondue if you are a member of Club Fondue and you have until March 30, 2015 to sign up. You will then receive an offer between April 1-3, 2015 to use between April 6-9, 2015 this year. Keep in mind that in the past the free cheesy offer did need a purchase of some kind, but we won’t know what the exact terms are until early April when the e-mail hits the inbox. Will you be celebrating National Fondue Day this year?